Great advances have been made in cataract surgery. Millions of people undergo this vision-improving procedure every year to remove cataracts and achieve excellent results. For patients, it’s a simple operation. First, a tiny incision is made in the eye. Through this incision, the surgeon inserts an instrument, about the size of a pen tip. The surgeon uses gentle pulses of liquid to wash away your cloudy lens, or an ultrasonic instrument that breaks up and gently removes your cloudy lens. This process is called phaecoemulsification. Normally you can go home on the same day of your surgery, but you won’t be able to drive, so make sure to arrange for a ride home. It’s also a good idea to make sure you have necessary help because your doctor may limit activities such as bending and lifting for a few days. 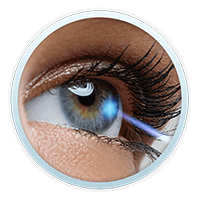 With phaecoemulsification and foldable lens implants, surgical incisions are very small, and no sutures are required. If all goes well, you’ll heal fast and your vision will start to improve within a few days. If your surgery requires a larger incision and sutures, full healing can take up to eight weeks. Avoid rubbing or pressing on your eye. It’s normal to feel itching and mild discomfort for a couple of days after surgery. Clean your eyelids with tissue or cotton balls to remove any crusty discharge. You may wear an eye patch or a protective shield the day of surgery. Your doctor may prescribe medications to prevent infection and control eye pressure. After a couple of days, all discomfort should disappear. Often, complete healing occurs within eight weeks. If you have cataracts in both eyes, your doctor will treat one eye at a time, and it’s usually a month or two before you can schedule surgery for the other eye. How Does Cataract Surgery Feel? Because your eyes will be treated with anesthetic, you should feel little to no discomfort. 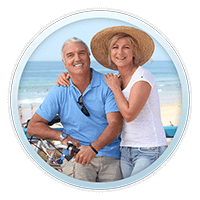 Therefore cataract surgery is an outpatient procedure and you’ll spend just a few hours at the site. Within the next 24 hours, drops will be asked to guard against infection and help your eyes heal. For a few days, you may need to wear a clear shield, especially at night, to prevent you from rubbing your eye. 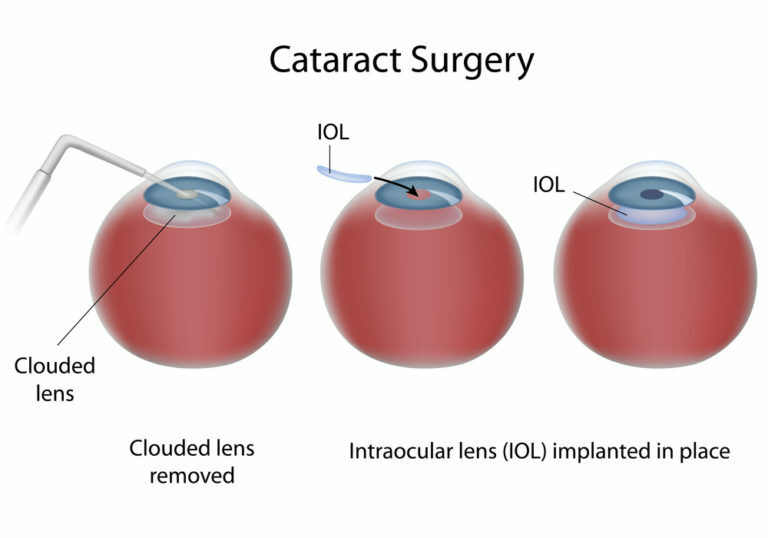 Until recently cataract patients received monofocal lens implants that had only a single power. This meant you had a choice of correction for either far or near vision. If you suffer from presbyopia like many people over the age 50 this would mean that you still need glasses for either reading or for distance vision. The FDA has now approved several multifocal lens implants for use by certified ophthalmologists. 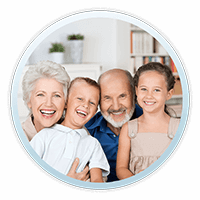 The multifocal IOL lens can increase your chances for a life free of dependence on glasses or contacts after cataract surgery for near, far, and intermediate vision. If you have worn glasses for 30 years this might be an opportunity for you to eliminate this hassle from your life. 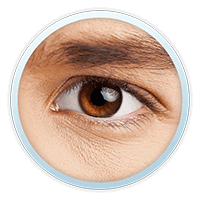 The implantation procedure is the same for both types of IOLs. 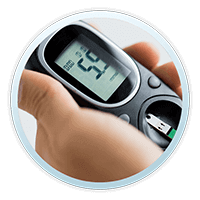 The main point of differentiation between the IOLs is in the type of vision they provide. 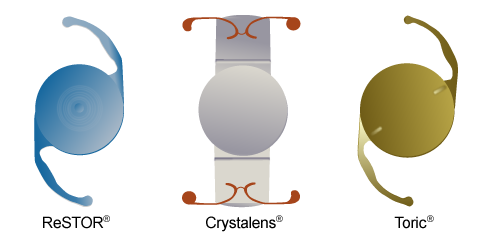 Intraocular lenses come in a variety of materials and designs. Your surgeon generally chooses a lens made of a material that is best suited to your individual situation. Some intraocular lenses used in our practice are coated with UV filters. Some lenses are yellow in color. These lenses are theoretically better at blocking the light rays in the blue spectrum, since these UV light rays are related to the development of macular degeneration in some patients. Some intraocular lenses are designed to be multi-focal in certain lighting circumstances, which may enable patients to see both at distance and near without the aid of spectacles. 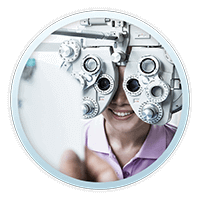 We offer different options for intraocular lens implants. Dr. Ellis or one of our staff can advise you regarding the best lens for your personal vision. If you are concerned about cataracts and wish to seek the advice of a board certified ophthalmologist Dr. Ellis can help. The Ellis Eye & Laser Medical Center will explain the entire process and advise you on your best options for vision after cataract surgery. If you are seeking cataract surgery in San Francisco, San Jose, Walnut Creek, El Cerrito, Roseville, Gilroy and Corte Madera, California. please do not hesitate to call us for an evaluation.